Communicate in a connected world. There is a great need for great communicators in every corner of the world. Every industry. Every sector. No matter your passion, the ability to communicate effectively and powerfully can enable you to contribute and make an impact. 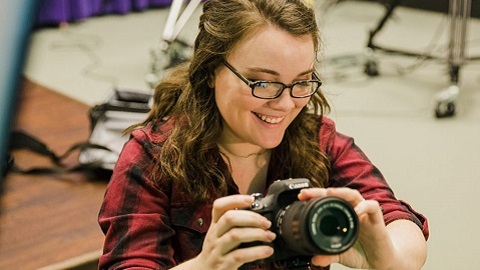 At William Woods University, communication majors find their niche in one of four concentrations: Digital Production, Leadership, Media Journalism, Sports Communications and Public Relations. Graduates have gone to pursue careers in broadcast, corporate communications, organizational promotions, and management. They are employed at television networks, non-profit organizations, professional sports teams, advertising agencies, and the list goes on. Graduating from William Woods University with a degree in communications, I was excited and confident that I was prepared to enter the workforce. From the classroom to my sorority, I left WWU having had the experience of a lifetime. The internships, hands-on class projects and a flourishing campus community at WWU, encompassed with a liberal arts base, helped me develop the skills I use every day in my job and personal life. My job would not be possible without the education I received at The Woods. Through one-on-one teaching and small classes, I was able to develop in-depth skills, work methods and relationships that I incorporated into my internship, then as an employee with a St. Louis production company and, later, into starting and running my own business. 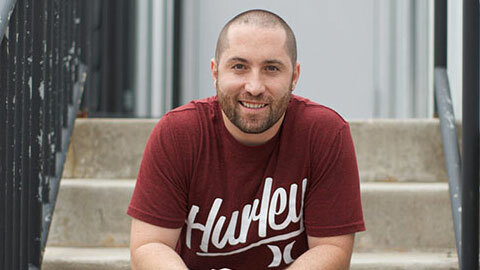 The Bachelor of Science in Communication degree at William Woods University consists of 122 distinct credit hours for graduation—including 18 core major credits, 12 required electives, and a 21-hour concentration in Digital Filmmaking, Leadership, Media Journalism or Public Relations. An introduction to news writing with emphasis on style and content for print and electronic media. Introduction to the functions, theories, materials and techniques of writing, performing and production for radio and television. Students write, perform and produce a variety of long and short form projects for radio and television. This is a course of discovery. Though the analysis of a particular kind of communication - argumentation - we will attempt to reveal the means of persuasion available to those who wish to influence others. Students will gain an intermediate level of understanding in contemporary film and video production techniques and styles while creating content suited for advertising, marketing, and production house content. Senior Sara Laney is excited about the numerous professional opportunities available to her as a Communications major. The professional possibilities for someone with a Communications degree are endless. Instructor Tony Weed explains. 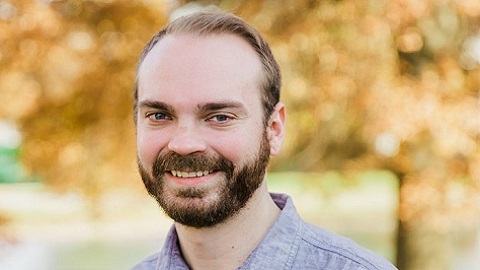 See how William Woods graduate David Anderson utilized his Communications degree to become a successful entrepreneurial filmmaker.